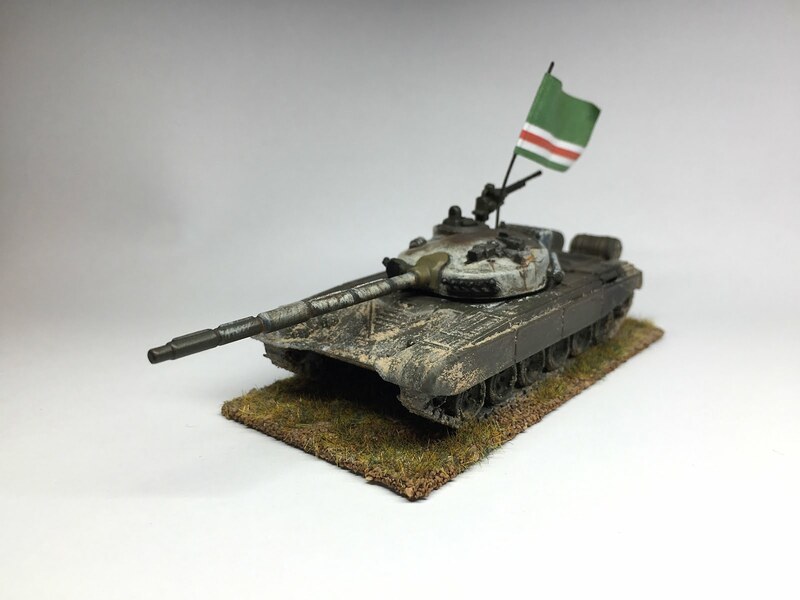 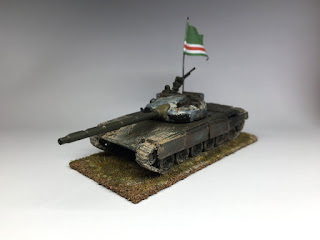 Here are the three finished ‘White Raven’ T-72A tanks. 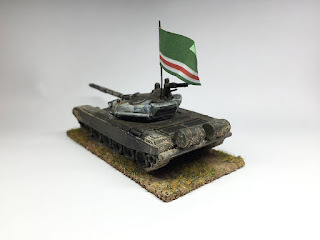 You can read a walkthrough of how I painted them in my previous blog post. 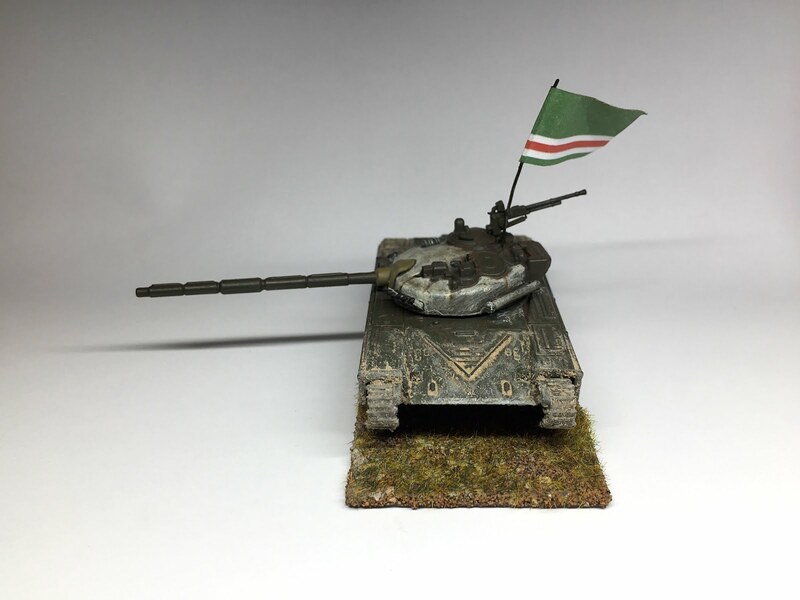 The finishing touches were to add some mud and static grass to the bases, and to drill holes in the turrets to insert flags. 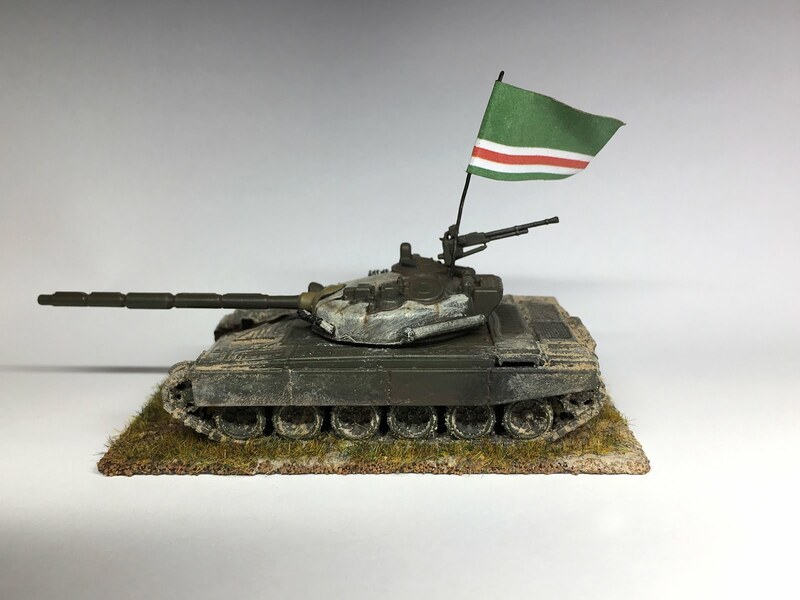 This one shouldn’t have front skirts, but once I had assembled the first tank model I discovered cutting off the skirt was too difficult. Oops. I have only seen pictures of the front of this tank. 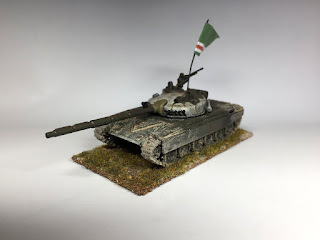 My first attempt at modelling this tank is covered in two of my earliest blog posts here and here. 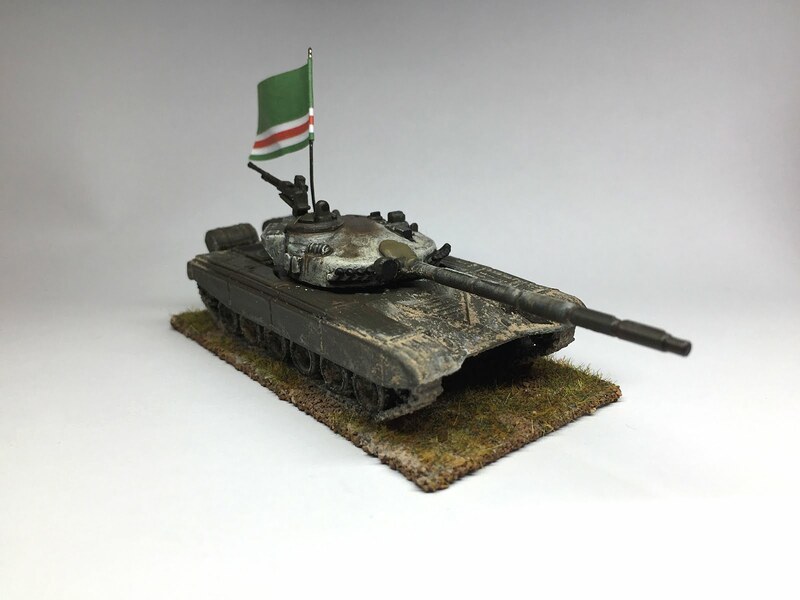 That was some of my first painting after a break of nearly twenty years so I’m pleased with my progress since then. A better camera and lighting helps too! 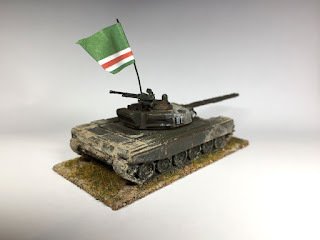 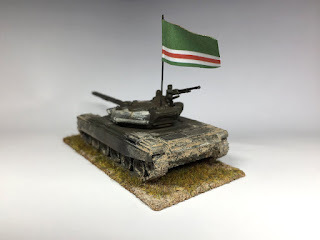 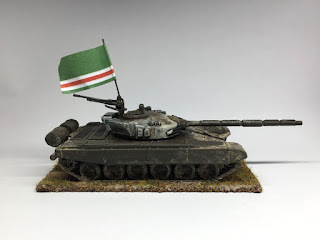 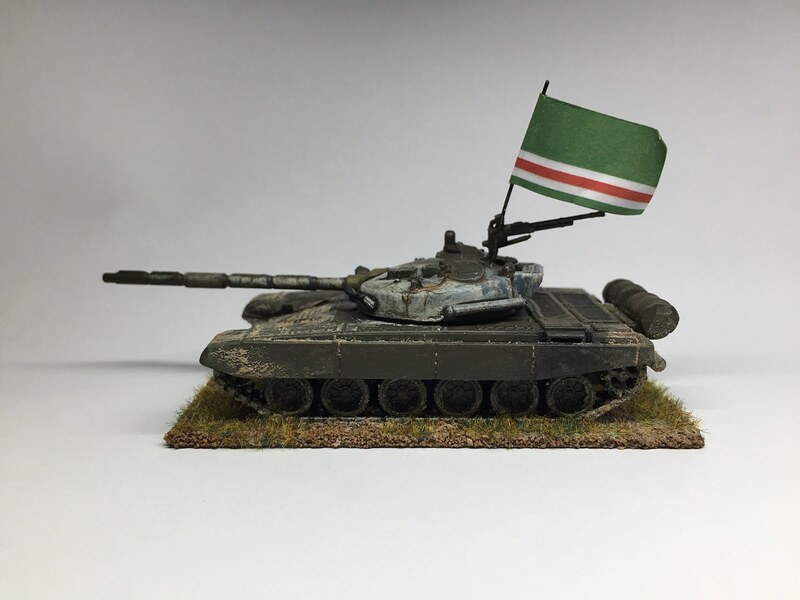 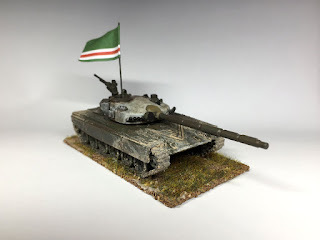 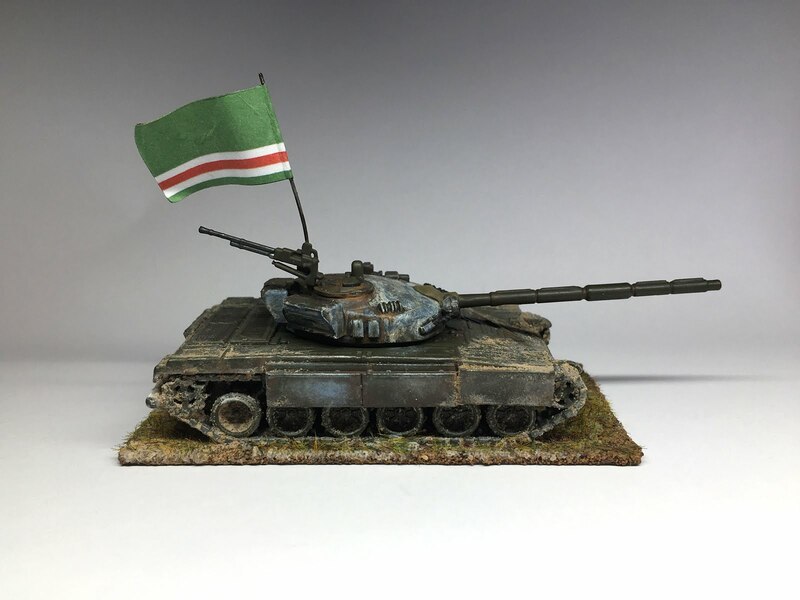 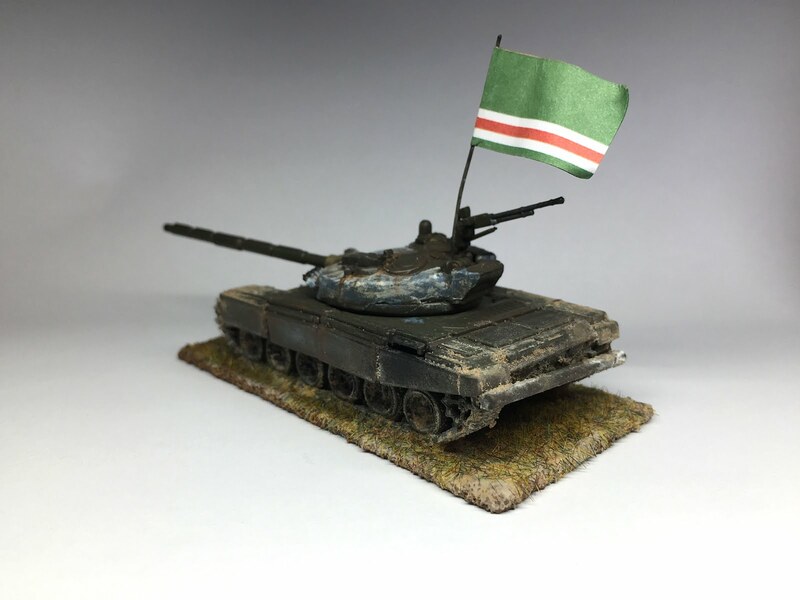 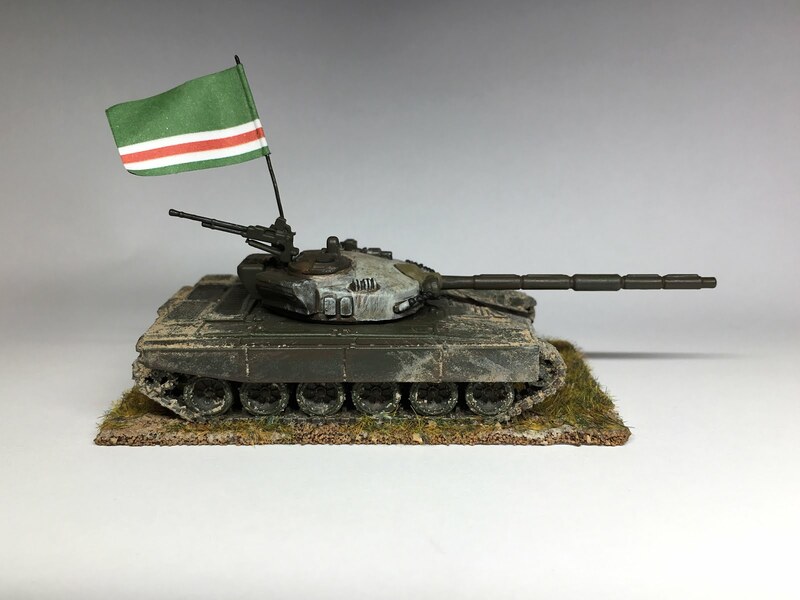 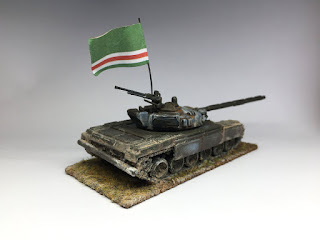 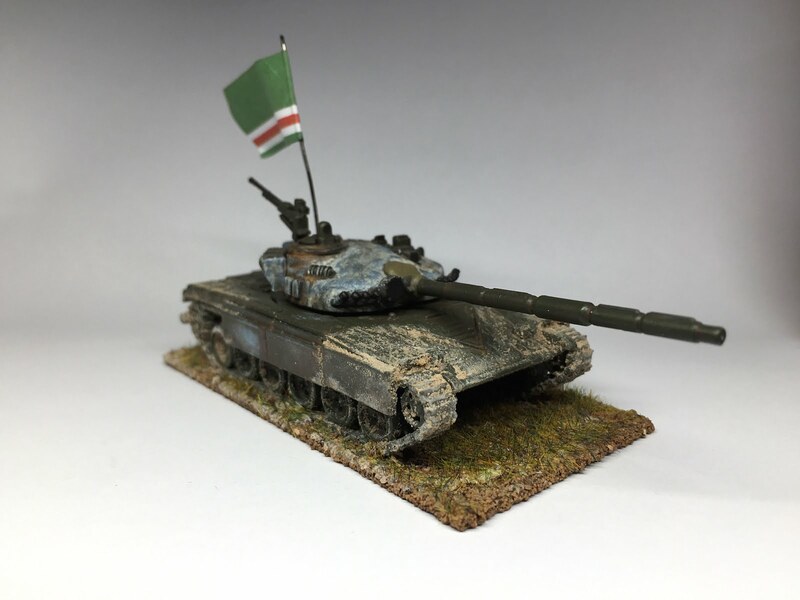 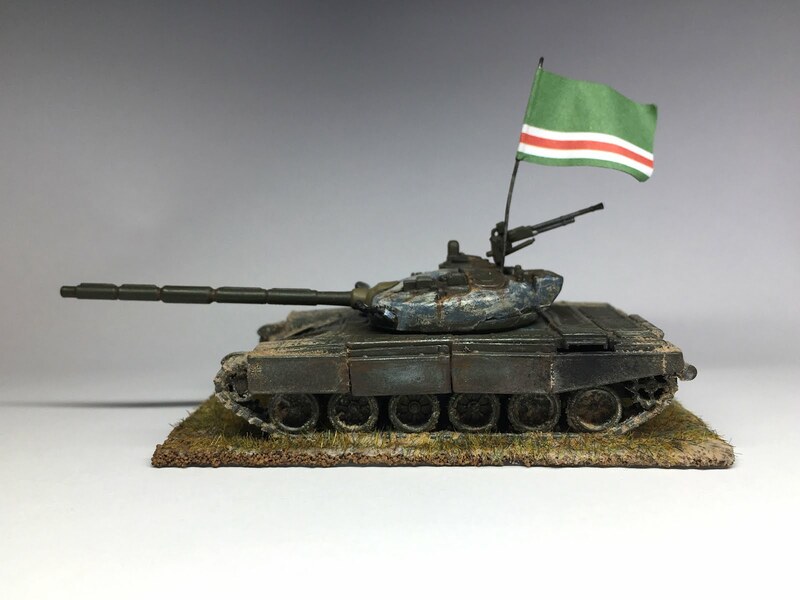 Next on the list to paint is a platoon of Russian T-72BM tanks with scratchbuilt cage armour. 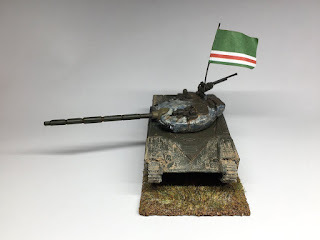 You can read a walkthrough of building them in older posts which are here and here.